The Internet in Cuba: Old Havana fiber trial to begin August 20th? Many unanswered questions. Old Havana fiber trial to begin August 20th? Many unanswered questions. Last February, ETECSA announced a pilot connectivity project in two Havana neighborhoods. The Associated Press report said Cubans in Old Havana would be able to "order service through fiber optic connections operated with Chinese telecom operator Huawei." I'd not heard anything more about this until the other day when a friend sent me the transcript of a chat between him and someone familiar with the project. His friend said a two-month free trial will begin August 20th. During that time ETECSA and Huawei will test speed and presumably tune the system. The free trial will only be available in parts of Old Havana and they may be rolling the service out to other areas in 2017, but neither the prices or locations are set. This leaves many questions. They refer to "fiber-optic connections" -- does that mean fiber to the premises? Fiber/coax hybrid? Fiber/wireless hybrid? How large is the trial? After the trial, where will the service be available? What will it cost? What will the speed be? What are the plans for the possible 2017 rollout? What is the relationship of this project to the earlier plan for providing access to DSL to fifty percent of Cuban homes by 2020? Etc. We might get answers to some of these questions when the trial ends, but I'm not counting on it. se va a dar gratis por 2 meses? pero en cuba entera o el mismo Habana vieja? it will give free for 2 months? but in whole Cuba or the same old Havana? ETECSSA has announced that the fiber connectivity trial in Old Havana would begin by the end of the year. (I had heard they were planning to begin last August). The announcement said 2,000 users would be included in the trial. I don't know if that means 2,000 locations or 2,000 people. 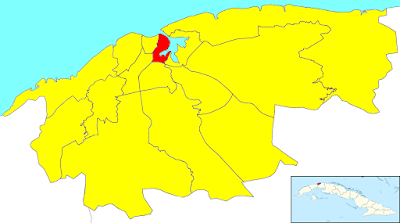 (There are businesses as well as homes in Old Havana). As far as I know, they have not announced the speed or price during and after the end of the trial or what they hope to learn and what their plans are for future fiber. There was also a leaked plan to make DSL available to 50% of Cuban homes by 2020 -- I wonder if they are still pursuing that project. A friend told me that a friend of his who works for ETECSA said the fiber trial would begin on December 5. Stay tuned. Etecsa has released some information on their forthcoming fiber trial in Old Havana. The free trial will reach 2,000 homes and last for two months. At the end of that period, home owners will be allowed to pay to continue the service, but the rate was not quoted. 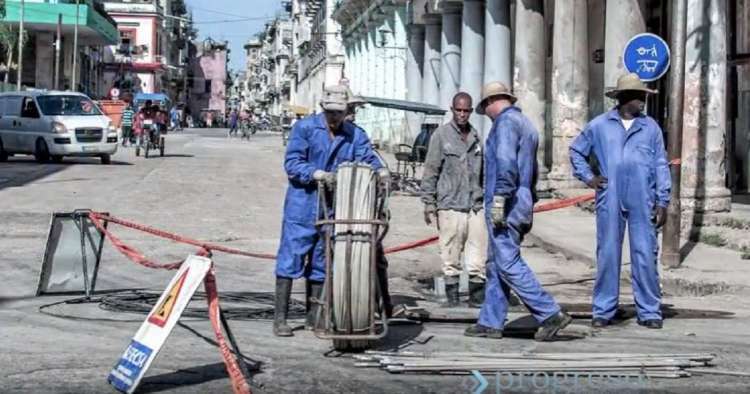 The service will be available to Old Havana homes that already have fixed telephone lines, which means the "last mile" will be ADSL over copper phone wires -- the same architecture that was outlined in a leaked presentation in June 2015. That presentation said that ADSL connectivity would be available to (not necessarily installed in) 50% of Cuban homes by 2020. They did not release details on speed, cost or data or time caps, but my guess is that they are starting in an area with relatively good phone wiring, making relatively high ADSL speeds possible. (That will not be the case throughout the country). People who live close to the central office they are connected to and have wiring that is in good condition, might have speeds as fast as 20 mbps, but maximum attainable speed will fall off as distance from the home to the central office increases and wiring condition deteriorates. This has been called a "fiber" test, so I am guessing that the central office serving these homes has a fiber backhaul link. That raises the next question -- what are the plans for fiber links to other central offices in Havana and throughout the country? I've speculated about fiber in Havana, but have no idea what exists or what is planned. I was conversing with a friend who passed on some information about the home-connectivity trial in Old Havana. He stressed that he could not be sure of what he had heard, so what I am about to say may be incorrect. Over 100 ADSL accounts have been established and the service will be free for two months. After two months, the user will be able to subscribe for a one-time charge of 50 CUC and a monthly fee of 30 CUC. The user will get 30 hours of connectivity for that 30 CUC. The speed will be 256 Kbps downstream and 128 Kbps up, which is very slow. For comparison, the US Federal Communication Commission defines "broadband" as 25 Mbps and my son, who lives in Korea, was paying $22 per month for 100 Mbps up and downstream in 2014. If 256 Kbps is the downstream speed, using modern Web sites and streaming video will be slow or impossible. I hope this is incorrect. In June 2015, we saw a leaked home-connectivity plan that promised much higher speeds. Why would the speed be so low in Old Havana? Is the central office far away? Are the phone wires old and noisy? Is backhaul from the central office to the Internet very slow? I would expect a relatively wealthy area like Old Havana to have better than average infrastructure. As I said, this information may be incorrect -- and I hope it is. It's the new year and I have not heard more about the home ADSL trial in Havana. There were to be 2,000 trial accounts, but I've only seen a couple of news accounts. This Chinese news story cites two people as saying they are enthusiastically enjoying the home trial, but are uncertain they will be able to afford it once the free trial ends. The Voice of America (VOA) posted a similar story about two sisters who share an apartment and consider the trial “a dream come true,” but they are also unsure if they will be able to afford to continue the service. It is interesting to note the difference in tone between the Chinese report and the VOA story (which was based on a Reuters release). The Chinese are upbeat -- saying there are 4 million registered Internet users in the country, when only a few of them have access to the international Internet, and implying that there are 1,000 WiFi hotspots. (I say "implying" because their English translation is ungrammatical -- the original may have qualified the 1,000 as a planned target). The VOA story correctly states that there are currently 237 hotspots. These few anecdotes say nothing about the performance, architecture or scope of the project and they shed no light on future home connectivity plans. This is the same sort of event PR journalism that we have seen surrounding Kcho's Cuban connectivity projects or Donald Trump's Sprint and Carrier job-creation claims. Margarita Marquez, a participant in the home Internet trial (Reuters). I've heard from a friend that they have connected 697 trial homes so far. (They say the trial will eventually include 2,000 homes). I assume trial customers will receive two free months from the time they go online, so the entire trial will take some time to complete. 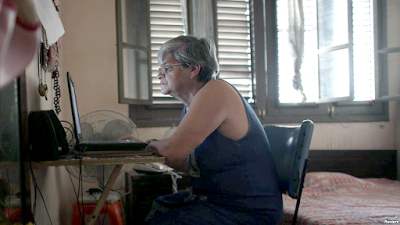 The Havana Times has a story on the home Internet trial in Old Havana. The story is largely anecdotal, but there are a few details. 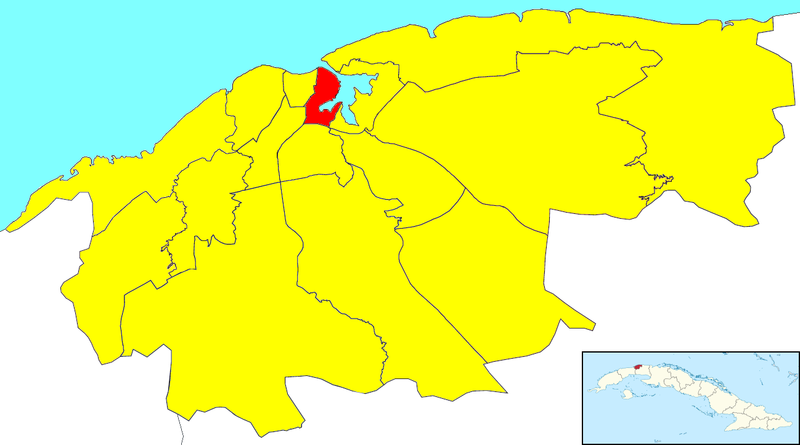 At one point, the story says there are 2,000 connected homes and at another 2,000 people. Some of the connections are to businesses and government offices -- not only homes. More confusion -- the story speaks of 15 people in a building being connected. Two thousand people would be consistent with the earlier report of 697 homes. . The trial will end on February 28, so it sounds like everyone that will connect is connected. The speed is 256kbps (presumably download) and after February 28, residents will have the option of 256 or 512 kbps or 2mbps, but they do not know what the costs will be. Speeds of 256kkps to 2mbps are very low using modern DSL equipment. That indicates that either backhaul from the Old Havana central office to the Internet is very slow and has to be conserved or that the wiring between the central office and the customer premises is in very bad condition or that the distances between the central office and users are great -- or it could be all of those. A darker thought is that they don't want people using the Internet very much. Regardless, this speed range is even lower than that anticipated in a home connectivity plan that was leaked a year and a half ago and this trial is starting to feel like a sad publicity stunt. If Cuba rolls out this sort of home DSL, they will be where the US was in the 1990s. As I have stated many times -- Cuba should not be recapitulating the evolution of Internet connectivity from dial-up, to DSL, to hybrid fiber-cable or fast DSL. They should leapfrog to next-generation technology and, more important, next-generation policy -- even if it means accepting (dreaded) direct foreign investment. I've been told that the home connectivity trial has reached only 840 out of 2,000 eligible homes and the signup rate has slowed significantly -- ten new accounts yesterday. I'm also told that the trial will end on February 28 regardless of when a user signs up. Perhaps most of the eligible people felt it was not worth going through the hassle of applying and installing new equipment for two or fewer free months. Others may not understand or want Internet access. In the early days of the Internet, we understood that one of the factors supporting success was a population of trained. demanding users and I was optimistic that the Youth Clubs might have developed that user base. Cuba has a core of trained, demanding users -- bloggers, developers, young people at WiFi hotspots, etc., but the average Cuban might be indifferent to the Internet (if not to El Paquete). I've heard more rumors on the DSL rollout -- home DSL will soon be offered in Santa Clara and Granma. My guess is that it will only be in the provincial capitals and only some neighborhoods. If the plan is to make DSL available to 50% of homes by 2020, they will be upgrading central offices that are in areas with high population density and phone wires that are in good condition. Both may be wrong, but either one is a lot of money for slow service. Both agree that users will be required to recharge at least once per month.